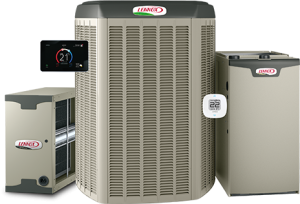 Save up to $6500.00 on Lennox Home Comfort Systems! For a limited time, Save up to $1500.00 in Rebates on a new Lennox Home Comfort System! Save up to 60% on Electric Heating with a New Cold Climate Heat Pump! In addition to Lennox rebates, Government Rebates up to $4000.00 are also available on select Central and Ductless Heat Pump Systems! If you currently heat your home with Electricity, a new Heat Pump System could save you up to 60% off your heating bill! There has never been a better time to look into a Heat Pump System for your home! Take advantage of Low Monthly Payment Options, and start saving today! It’s Not The Heat! It’s The Humidity!